At our independent agency, we can get you anywhere. Name the place and we set it up. 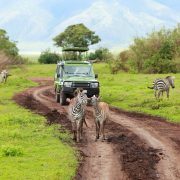 Whether you want to spend your honeymoon in Paris, take your family on an African Safari, or travel to a remote village in Southeast Asia; we will get you there. 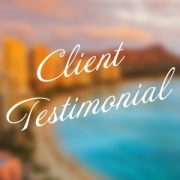 If you are not sure where you want to honeymoon or vacation, or you are concerned about price, just call us and we will make recommendations that fit your budget and your desires. You don't need a passport to travel to The Last Frontier, but Alaska is like an entirely new world. Whether you fly or visit as a part of a cruise, there are many experiences here you just can't find anywhere else. Imagine sailing through majestic glaciers, or taking a flightseeing tour over Denali National Park, or experiencing a sled ride courtesy of Iditarod huskies. 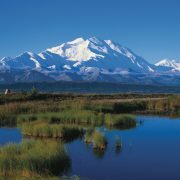 The Alaskan Native communities that still live here add vivid culture to the landscape, while wildlife - the "big five" of bears, wolves, Dall sheep, caribou and moose - thrive all over the state. 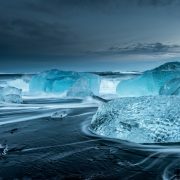 Iceland has recently become one of the world’s most popular destinations for adventurous travelers. 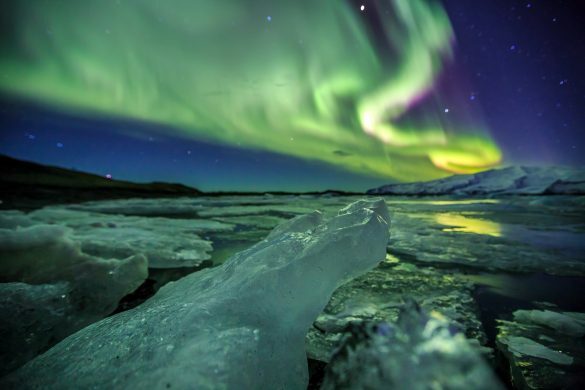 Despite its name, Iceland has warmer average temperatures than New York City in the winter. When you visit , you’ll be wowed by the natural wonders such as the Northern Lights, magnificent waterfalls, and serene geothermal baths. Venturing to small towns, you’ll be greeted warmly by locals ready to share their culture. Fishing, farming, and the gathering of natural ingredients form the exceptional menus at Iceland’s modern restaurants. 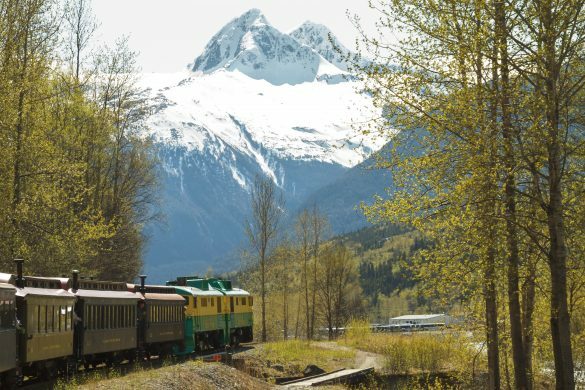 You can experience this enchanting country by foot, snow mobile, horseback, and even motor coach through Encompass the World Travel’s featured tours. An Iceland experience will leave you with heart-warming memories, million-dollar photos, and an eagerness to return soon. The pictures you see of Ireland are exactly what you will find when you arrive. It is absolutely beautiful. Ireland is breathtakingly green, filled with friendly people and classic pubs. Stay in a hotel or if you truly want to experience Irish life, stay in an authentic Irish Bed and Breakfast. 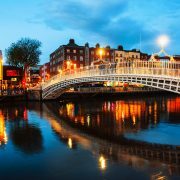 Let us plan your romantic honeymoon on the vast beaches, hiking along its lovely lakes, and soaking up all of Ireland's rich history and culture. 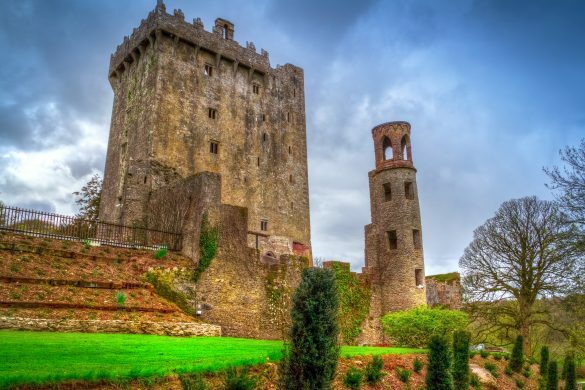 Or, plan your family vacation to the magical countryside where travelers of all ages can explore castles, ancients ruins and remarkable landscapes like the Cliffs of Moher and the Hill of Tara. 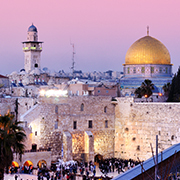 Rooted in history, tradition, and beauty, Israel is an experience like no other. This country’s unique blend of world history and religious significance is sure to fascinate and intrigue you as you explore the ruins and artifacts of days past. 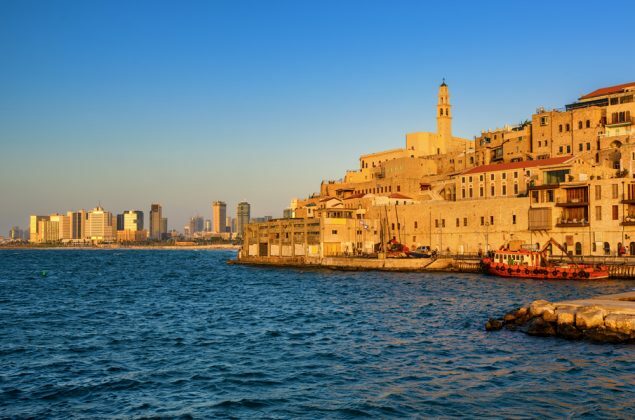 Beaches, nature preserves, and the Dead Sea call to outdoor enthusiasts while foodies embark of a journey through local cuisine and wine. You can explore all this and more in Israel. 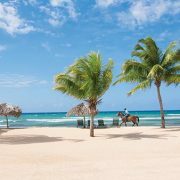 Jamaica's second city has it all, including its own international airport, which makes it very accessible to travelers. Discover a variety of amazing beaches, a bustling town and many sites including the historic Rose Hall Great House. The Hip Strip is the place to visit, featuring a mile of restaurants, entertainment, bars, shopping and fun. Doctor's Cave Beach Club is open seven days a week and boasts translucent water and a world-famous white sand beach. Float on a bamboo raft down the Great River and take in the amazing tropical scenery. The coastal town of Falmouth is an architectural buff's dream, with an extensive collection of Georgian-style buildings. Known as the "Capital of Casual," Negril's laid-back pace will ease your mind, body and soul. 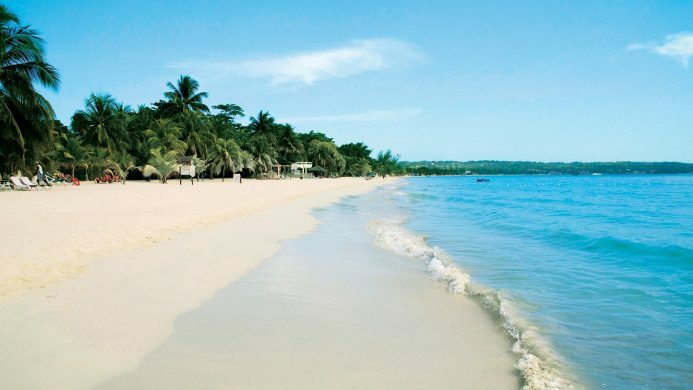 Here on the western edge of Jamaica, the waters are calm, the beaches are sandy white, and all are welcome. 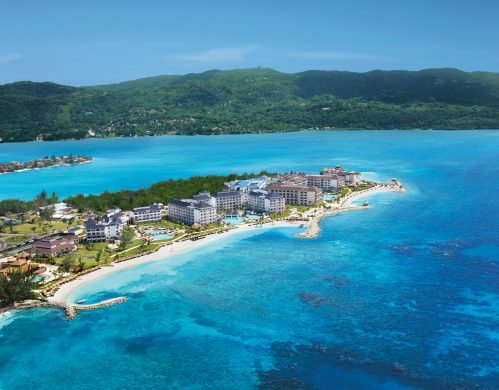 The stunning Seven Mile Beach is the perfect place to enjoy some sun and sand during the day, and is home to an array of resorts, restaurants and bars to choose from. The scenic drive south along the dramatic coast will land you at Rick's Cafe, a popular gathering place that's also a destination for cliff divers and epic sunsets. White-sand beaches and sublime blue-green waters established Cancun as a premier destination for couples, families and active travelers! From shopping and nightlife, to snorkeling and swimming with dolphins, Cancun offers a gorgeous, welcoming setting for every type of traveler. With so many resorts available here, the expertise of a travel agent is key to choosing the right property for you. 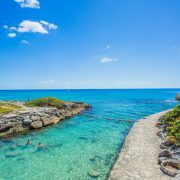 Let Encompass the World use our first-hand knowledge to make your dream vacation to Cancun a reality. 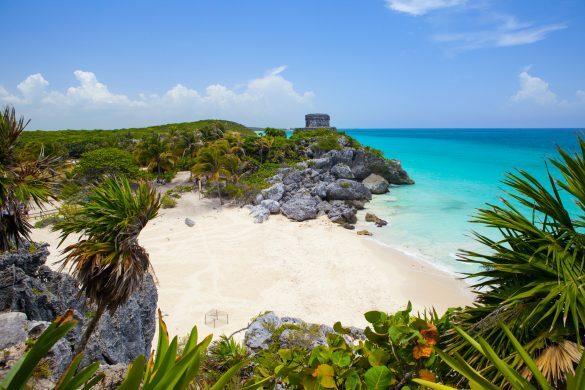 With its pristine beaches, coral reefs, Mayan ruins and lush tropical foliage, Riviera Maya is a paradise for beach lovers and adventure seekers. Here, the pace is slower and the vibes are more tranquil compared to its neighbor to the north, Cancun. 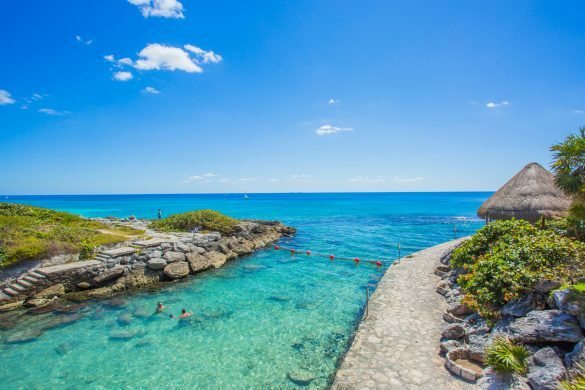 It's also home to the trendy coastal town of Playa del Carmen, the world's largest natural aquarium Xel-Há, and Xcaret Park, where you can snorkel through underground rivers for views of diverse wildlife. Situated on the southern tip of the Baja Peninsula, Cabo San Lucas is a modern, bustling hub of activity both day and night. Take in the famous arch formation that rises above the turquoise waters at Playa del Amore (Lover's Beach). 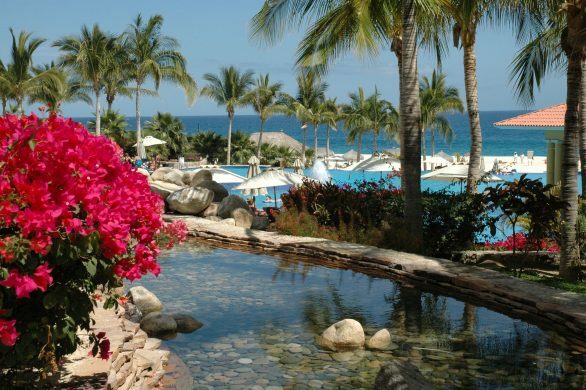 Travelers can also take advantage of the nearby San Jose del Cabo, a 200-year-old town where traditional Mexico endures, and Puerto Los Cabos, where they'll find unspoiled beaches, golf courses and even art galleries. 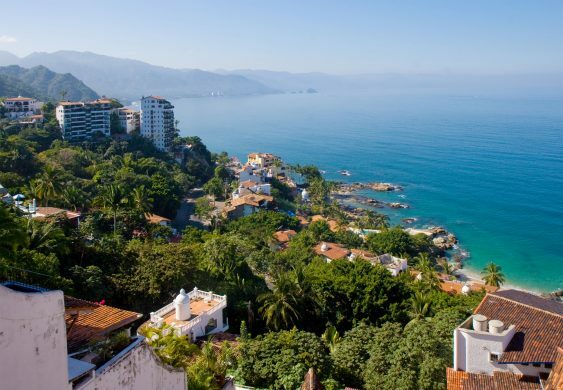 Once a tiny fishing village, the area surrounding Puerto Vallarta retains the timeless, laid-back feel of Old Mexico. 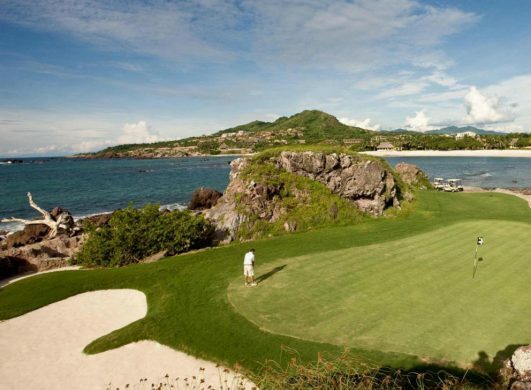 Gourmet restaurants highlighting the area's fresh seafood, lush mountains, and a scenic coast make this one of Mexico's fastest-growing resort destinations. Puerto Vallarta offers beautiful golden sand beaches, championship golf and a vibrant seafront Malecon with cobblestone streets. Take part in a canopy adventure high atop the jungle, and take in the beauty of the mountains framed by the gorgeous Pacific coastline. Known as Mexico's Pacific Treasure, the laid-back Riviera Nayarit is less developed than its neighbor to the south, Puerto Vallarta. But that's a good thing! This 200-mile span of coastline is ideal for snorkeling, scuba diving, surfing and encounters with the area's colorful marine life. Get a taste of old world Mexico in the town of Bucerias, or take in the lush natural surroundings and luxury hotels in the new town of Nuevo Vallarta. More of the region’s former fishing villages and sleepy beach towns are under development, so now is an ideal time to visit for those looking to experience Nayarit’s peacefulness and natural beauty. From its landscapes, to its people, to its history and culture, South Africa is a land of diversity. Spend a few days in the vibrant city of Cape Town, where you can ride a cable car to the top of the iconic Table Mountain and then venture out to the Boland, a superb wine-producing area. 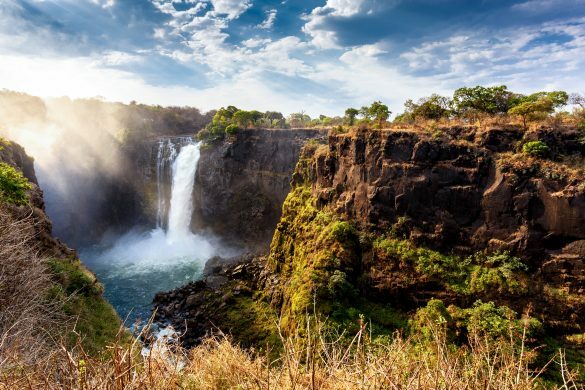 Your journey continues with game drives at Kruger National Park, where you'll have the chance to witness Africa's "Big 5" - lions, leopards, elephants, rhino and Cape Buffalo. Whether traveling with a family, couple, or group, this is a bucket list destination you simple can not miss. There are hundreds of miles of beaches along Florida's Gulf Coast, and each of them carries their own allure. Whether they are tucked away from the crowds, or perfect for people watching, the shores here are known for their clear, calm waters and soft white sand. The cities that dot the coast are equally as diverse; lively Clearwater boasts tons of restaurants, shops, quality hotels as well as an aquarium and downtown hub. For couples, we'll send you to Anna Maria Island for a laid-back, romantic weekend at one of the charming bed & breakfasts. 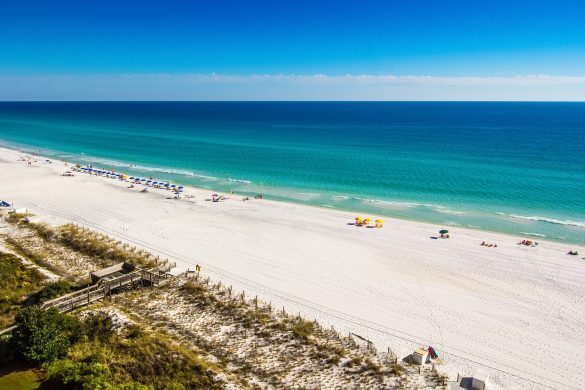 For families and fishing enthusiasts, Destin and Pensacola in the northern panhandle are the perfect spots to unwind. 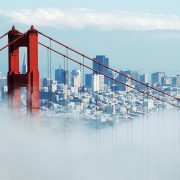 One of America's most dynamic cities, San Francisco is home to a little bit of everything. 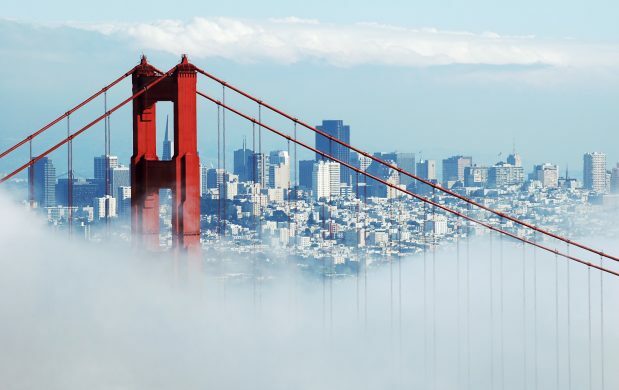 The iconic Golden Gate bridge welcomes visitors to experience it all – from the colorful Painted Ladies, to the historic cable cars, to the energetic Fisherman's Wharf. The city itself is a food-lovers paradise, and just outside of San Francisco lies an entirely new world of discovery for the senses in the Napa and Sonoma Valleys. Even if vineyards and vintages aren't your thing, no visit to the San Francisco area is complete without appreciating Wine Country's rolling landscapes and artful approach to food, wine, and hospitality. Your vacation can truly be anything you want it to be in Las Vegas, so let Encompass the World help you do it right with views of the world-famous Strip! It's the perfect place to take in this spectacle of a city, including its world-class entertainment, casinos, restaurants, shopping spas and even thrill rides. 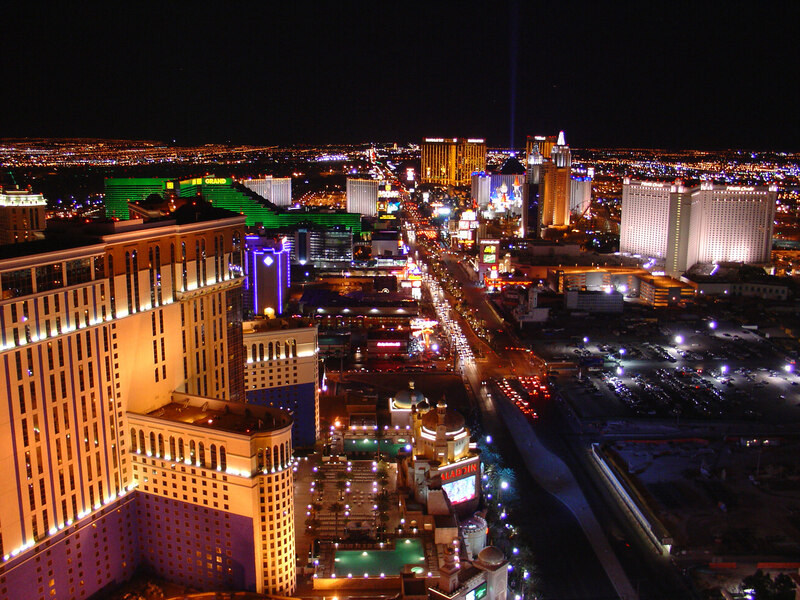 Although the city has a racy reputation, there's actually plenty of entertainment options for the whole family, like M&M's World, a gondola ride through the Venetian Hotel, and the Tournament of Kings dinner show at The Excalibur. No matter what brings you to Las Vegas, the odds are you won't forget the experience!